Earn, learn and gain credit towards a Bachelor Degree! At Tamworth Community College we are committed to providing our students with innovative, flexible and professional training. 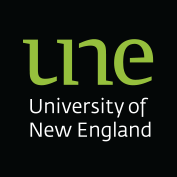 That’s why we have expanded our business training to offer credit transfer agreements with the University of Newcastle, University of New England and Southern Cross University. Students who complete a BSB51915 Diploma of Leadership & Management, including specifically agreed Units of Competency will have 40 units credited towards 240 units required to complete the Bachelor program. Students who complete a BSB51915 Diploma of Leadership & Management, including specifically agreed Units of Competency will have 8 units credited towards 24 units required to complete the Bachelor program. Tamworth Community College has an approved articulation arrangement with Southern Cross University, recognising learning within particular Certificate IV and Diploma courses/qualifications for entry into the first or second year of a related Southern Cross course, with maximum credit transfer. For further details view the live and searchable AQF Vocational Qualification Credit Linkages document published at www.scu.edu.au/aqfvocationallinkages for specific credit details into a range of undergraduate and postgraduate degrees. This means you can take a gap year, without the gap. Spend a year working, saving, maybe some travelling, and work towards completing your degree; all without having to leave home. If, at the end of the year you decide not to continue to University, you will still graduate from TCC with a qualification highly valued by employers. Contact our team to learn more about our Pathways to University Program and begin your enrolment.